Patients of mitral regurgitation (MR) who are not suitable for open heart surgery now have a new treatment option. Allamanda Private Hospital recently launched the MitraClip system for treatment of MR or ‘leaky heart valve’. Allamanda is the only hospital on the Gold Coast and the only private hospital in Queensland to offer the new MitraClip device, designed to treat significant MR and to provide clinical and quality-of-life benefits to patients. 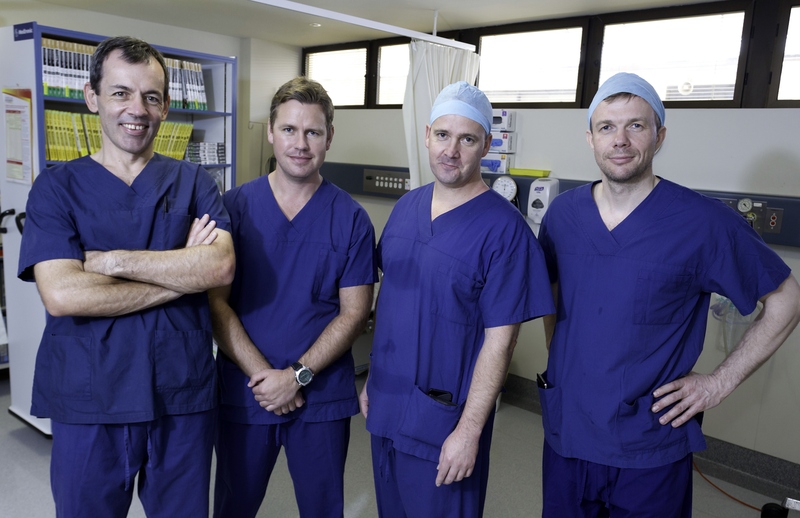 Cardiothoracic surgeon Ben Anderson and interventional cardiologist Michael Greenwood trained in the procedure with internationally renowned cardiologist Olaf Franzen, who travelled from Belgium to oversee the first two cases performed at Allamanda. MR is the most common type of heart valve insufficiency and affects 9.3 per cent of those aged 75 years and older. It is a condition in which the heart’s mitral valve doesn’t close tight, causing blood to flow backwards and leak into the left atrium during the cardiac cycle. As a result, blood can’t flow through the heart or to the rest of the body as efficiently, making one feel tired or out of breath. The heart has to work extra hard to maintain an adequate flow of blood throughout the body, which can result in an enlarged left ventricle and, after progressive decline, the heart loses its ability to pump effectively. Left untreated, MR can ultimately lead to irregular heartbeat, heart failure, stroke, heart attack or death. Traditionally, the condition has been managed with medication, which may relieve symptoms, but does not address the underlying cause of the condition. Dr Anderson said the new technology provides a much-needed treatment option for patients who are not good candidates for open heart surgery. “Open heart surgery was the only solution for MR patients, but approximately half of such patients are considered high-risk for surgery because of advanced age, significant ventricular dysfunction or other serious co-morbidities. The new treatment negates the need for open heart surgery, instead providing a minimally invasive solution in the form of a catheter-based device that is delivered to the heart through the femoral vein. The heart beats normally during the procedure, therefore the patient does not require a heart-lung bypass machine – a major benefit for high-risk patients,” Dr Anderson said. The MitraClip device is designed to treat significant MR, a debilitating condition in which the heart’s ability to function continues to deteriorate over time. “The MitraClip system reduces significant MR by clipping together the leaflets of the mitral valve,” Dr Greenwood said. “By reducing MR, the device allows the heart to recover from overwork and improve function, halting the progression of the heart failure and enabling patients to live a better quality life,” he added. Patients undergoing the treatment typically experience shorter recovery times and hospital stays – with an average stay of two days – and are able to go home rather than being discharged to a rehabilitation facility. 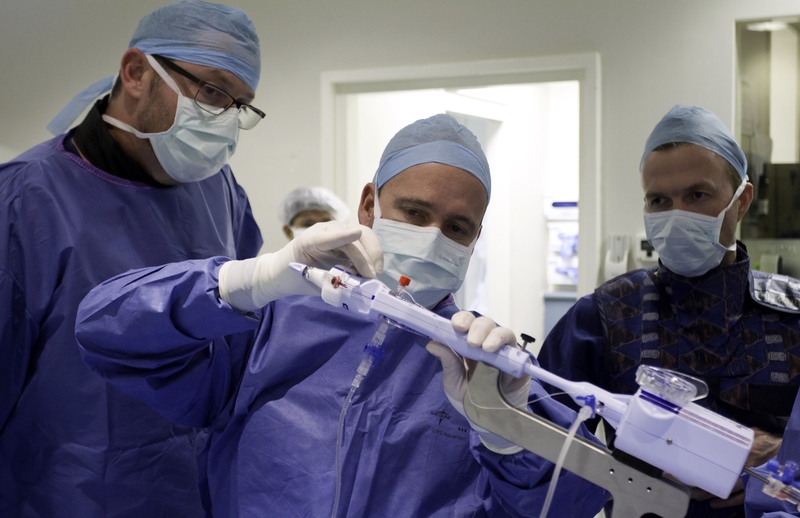 The MitraClip system is available in 30 countries and has been used to treat more than 10,000 patients globally.